Manufacturer of a wide range of products which include non shrink cementitious precision grout, low viscosity epoxy grout, grout admix, water reactive polyurethane grout, three component epoxy grout and polyurethane grout. We introduce ourselves as a prominent manufacturers, distributor, wholesaler, trader, and suppliers of an extensive array of Non Shrink Cementitious Precision Grout. The offered precision grout produces high ultimate strength and low permeability of water. This precision grout is processed by utilizing top-notch quality ingredients as per the set industry norms under the observation of our experts. Add require water to make it as free flow. Yield 13.5 litres per 25 Kgs Bag. By keeping track of the latest market developments, we are actively involved in manufacturing, and supplying a broad range of Low Viscosity Epoxy Grout that provided effective penetration into narrow gaps & has outstanding flow ability non-shrink, the offered epoxy grout is processed with the best grade ingredients and leading technology according to the quality standards. We are reckoned as the foremost manufacture, and supplier of Grout Admix. The offered grout admix is precisely processed using premium quality ingredients and advance technology in accordance with quality standards. This grout admix is used in neat cement grout & sand grout for injection into concrete structures. Moreover, customers can avail this grout admix from us at reasonable rates. Highly compensates for shrinkage which impact controlled expansion in the plastic state. Increases flow ability and produces high ultimate strength, for easy injection grouting for crack and cold joints. 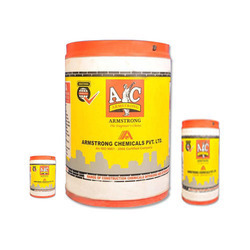 It is used in neat cement grout and also cement/sand grout for injection into concrete structures through nozzles. Even as water is reduced around 10 to 15%, the strength of the grout increases. Mix Admix with cement in dry condition followed by addition of mixing water and continue mixing for 1-2 min. to a smooth consistency. Once the grout is made, the grout should be used within 30 min. from the time of production. Backed by a diligent team of professionals, we have been able to offer Water Reactive. The offered water reactive sets quickly and stops water from oozing. 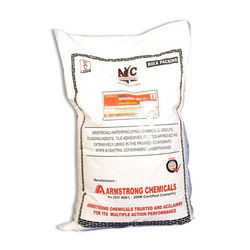 This water reactive is processed using supreme class ingredients as per the set industry norms. Customers can avail this water reactive within promised time frame from us in various quantities. Three component, free flowing epoxy grout system. (Complies with ASTM-827 SNF CROC 621). System consists of resin, hardener and specially graded filler. Excellent bond strength, High chemical resistance. Result high strength like M 90 Grade concrete. Recommended for repairs of concrete structures, holes in concrete floorings, patch works etc. 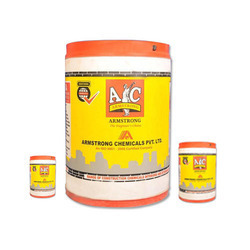 Low Viscosity, Sets quickly and provides early high strength to the structures and floorings. It quickly sets to a tough solid. 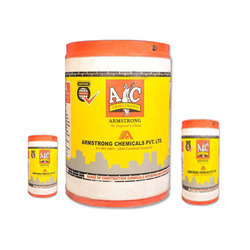 Two part high strength polyester Resin Anchor Grout (Complies with ASTM-827 SNF CROC 621) Also available Rapidstrong ag pride. 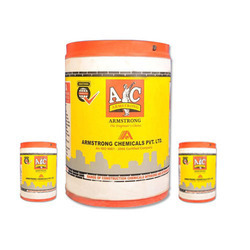 High strength, rapid set Polyester resin based anchor grout specially designed for excellent anchorage of various sized anchor holes by pouring or injection. it can be used over a good temperature range, it provides excellent protection against acids, alkalies and chemical attack. It produces exceptionally high corrosion protection to steel,nut, bolt in dry and wet conditions. It has better consistency hence can be placed even in narrow holes. It resists salt water. Looking for Free Flow Grouts Anchors ?